Entdecken Sie während dieser 3-stündigen Wanderung berühmte Sehenswürdigkeiten und versteckte Geheimnisse in Edinburgh. 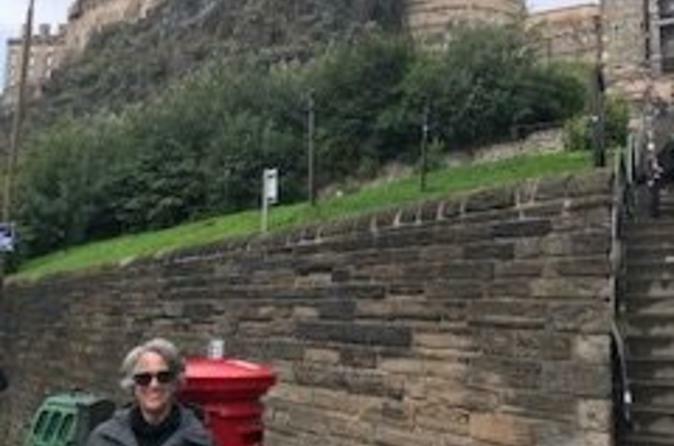 Erkunden Sie Edinburghs berühmte Royal Mile mit einem Guide und erhalten Sie Einblicke in berühmte Schriftsteller und Erfinder, die die Stadt wie Sir Walter Scott, Alexander Graham Bell und Sir Arthur Conan Doyle zu Hause hielten. Hören Sie vom schottischen Nationalbard - Robert Burns - und entdecken Sie Sehenswürdigkeiten wie die St. Giles 'Cathedral und die National Galleries of Scotland. Nehmen Sie unterwegs Edinburgh mit dem Auge Ihrer Kamera auf und finden Sie heraus, was diese antike Stadt tickt. This was the best tour I have ever experienced! 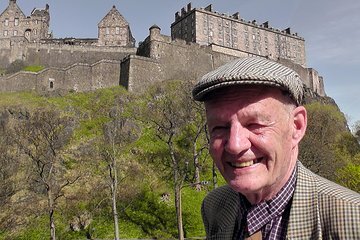 I was taken on a splendid walk around Edinburgh Old Town by our guide Stuart. Having introduced himself and all of us to each other. We then set off on our walk, the pace was spot on allowing plently of time for photos and to be informed on the sights and of cousre to be entertained with historical tales. I was impressed with his vast knowledge of Edinburgh and its sights and the easy manner in which he shared it with us. Stuart also found time to engage with each of us individually making it just a bit more special.It was obivioius that Stuart loves the city and enjoys sharing it with you. This was a great tour and walking through Edinburgh with such a knowledgeable local was fantastic. Excellent choise. Small group Max 10 person. Take The tour first day visiting Edinburgh. You get a lot of advices. Huge knowledgeable guide with a lot of humor. Exellent storyteller. Knows Edinburgh better than anybody else. Guide was informative and knowledgeable and gave an entertaining presentation. Definitely worth doing. Took the tour this week by myself in a small group seven with Richard Usher who knows all things Edinburgh to a tremendous degree. He was educational, engaging and entertaining every step of the tour. He made the effort to make sure all the members of the group were introduced to each other and made sure to engage each of us throughout the tour. This is not a detailed tour into sites like the castle but, rather, a broad introduction to the city with lots of references to smaller parts of the city with historical references. There was a delightful stop midway for a drink and scone, if we wished at our expense, which was timely. This is a nonstop tour which climbs up and down steps and stairs. Probably not a good option for someone with physical challenges. This was a great introduction to this delightful city. This was an amazing tour with a very knowledgeable guide. I had a lovely time. The company is run by a father and son team, and I had the son, we met his dad at one of the stops and he was just as nice with a very quick wit.